This Guru Purnima day on Tuesday 19th July, some of my students came specially to our abode in Syston, Leicester to pay respects, honouring this age old tradition. Sandeep Kandola played Raga Bihag on Sarangi. The Sitar played got together and gave an impromptu performance in Raga Jhinjoti. 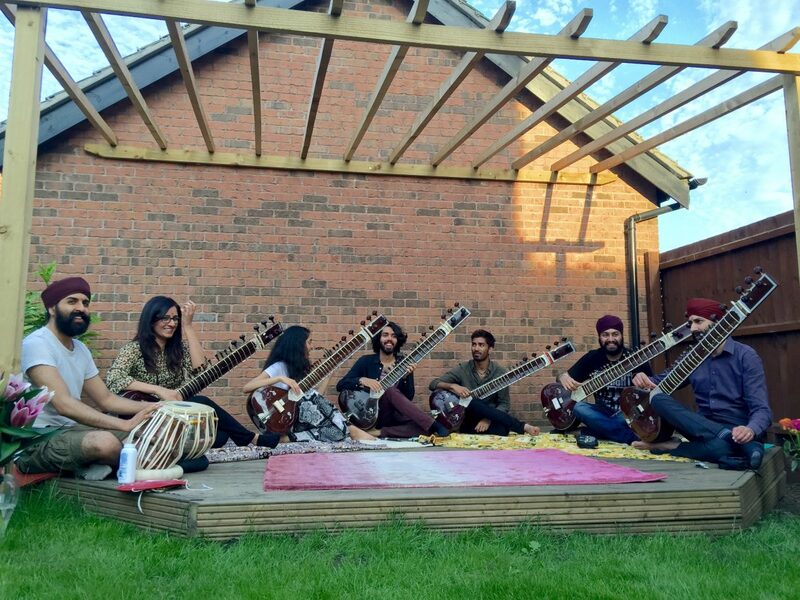 Featured are Kaviraj Singh on Tabla, Roopa Panesar, Harminder Sahota, Harkiran Sahota, Jasdeep Degun and Surmeet Singh on Sitar. What a treat and joy to experience the music of these young and upcoming players, full of zeal and playing the Taans with vigour. Made me feel so proud, blessed and thankful for allowing me to serve them through music. Listening to them inspired me to bring them together next year in a special tour sharing the same joy with the listeners of UK. Keep on the look out for this exciting series pf performances celebrating Sitar in UK.